The nineteenth-century asylum was the scene of both terrible abuses and significant advancements in treatment and care. 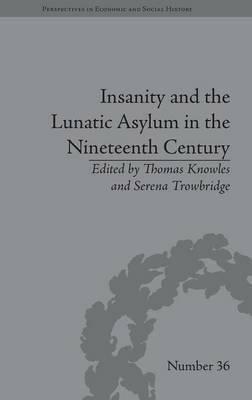 The essays in this collection look at the asylum from the perspective of the place itself - its architecture, funding and purpose - and at the experience of those who were sent there. Thomas Knowles is based at the School of English, Nottingham Trent University. His research interests are varied and include Romanticism, Surrealism, Critical Theory, Victorian Literature, Science Fiction, the History Of Madness And Psychiatry, Imperialism, Empire and Postcolonial Studies. Serena Trowbridge is based in the School of English, Birmingham City University. Her research interests include nineteenth-century poetry, women's history and writing, Gothic literature, nineteenth-century Anglican theology, children's literature in the eighteenth and nineteenth centuries and Pre-Raphaelitism in art and literature.